'It's down there. In the darkness. In the pipeline. Waiting.' The TARDIS brings the Doctor, Jamie and Victoria to the south coast of present-day Earth. Something nasty is lurking in the gas pipelines of the North Sea, and before long the nearby refinery is under attack. Landing on a foam-covered beach, the travellers are at first mistaken for saboteurs. A number of the refinery personnel have been behaving strangely, and the base chief, Robson, is showing serious signs of stress. Meanwhile Maggie Harris, having been stung by a mysterious frond of sea vegetation, is menaced by the sinister engineers Oak and Quill. As sentient foam and weed combine to frightening effect, it soon becomes clear that the danger emanates from beneath the sea. Can that really be a heartbeat coming from deep inside the refinery pipes? Will the Doctor and his friends be in time to prevent an entire takeover of Earth - and will they all escape with their lives? 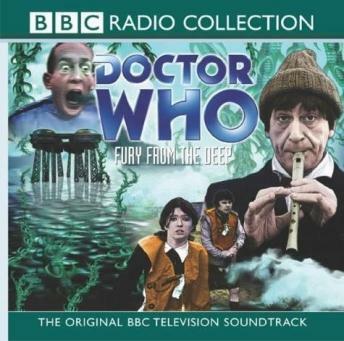 First broadcast in 1968, 'Fury from the Deep' is the last story to feature Deborah Watling as the Doctor's companion Victoria. Long missing from the television archives, it is regarded as a classic adventure from the era of the Second Doctor.